We’ve all been there. After having strung together weeks and weeks of healthy, clean eating and consistent exercise, you experience something that causes you to go off track. Maybe it was a vacation, a special event, a major life stressor, a celebration after attaining a goal or perhaps just a weekend of weakness? This happens. Life happens. It’s OK, expected and even good for you from time to time. However, the problem is that once we get off track, it oftentimes feels much harder to get back focused. The allure of creamy, sugary, salty, fatty goodies becomes very irresistible and the gym becomes very resistible. In this state, you know that you need to get back to your healthy habits, but you just can’t seem to do it. When you take a little break from your healthy regimen, intellectually, you know that you need to get back to your program. That knowingness mixed in with little guilt can create a “have to” versus a “want to” mindset, which is not a motivated state of mind. This mentality will not push you toward your best; rather, it will keep you stuck and frustrated. You can get un-stuck by reframing the “have to” mindset to one of choice and empowerment. I recommend re-examining and re-establishing why you are committed to a fit lifestyle. I have to do this from time to time when I feel like I can’t get it together. I remind myself that I choose a fit life, because ultimately I want to live in pursuit of my best. Whenever I am trying to get back on track after a little break, I do a reset by going back to what I did to initially form my healthy habits. It’s kind of like going to boot camp for a bit until your habits are back in tip-top shape. 1. Eliminate Temptation: Once my healthy habits are firmly established, I can go into the pantry or fridge and not even see the food that once tempted me. 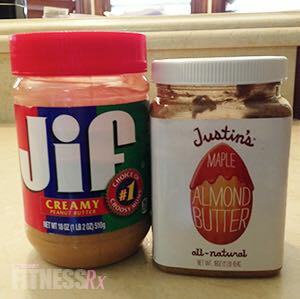 However, when I first was attempting to change my diet years ago, the jar of peanut butter would trigger old snacking patterns and cravings. So to eliminate this issue, I removed all items that would tempt me from my sight line by putting them in an inconspicuous location. Some people eliminate items from their homes altogether, but I don’t want to make my hubby with a super high metabolism miserable. 2. 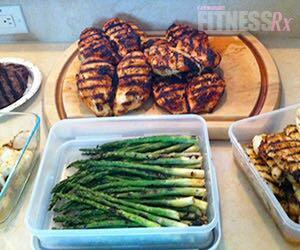 Make It Routine: Take all thinking out of your eating and training when you are re-establishing your habits. Have a plan, do all the preparation ahead of time and work the plan. Prepare your food for the week on one day and get each meal packaged at least a few days in advance. If you allow yourself to think about what you are going to eat or train too much, it is likely your mind will resist the changes your are trying to make and rationalize you eating a little of this or substituting that. Before you know it, you are off track and in diet debt before your good habits could be established. 3. Train Harder: Some people believe in easing back into the gym after a break. 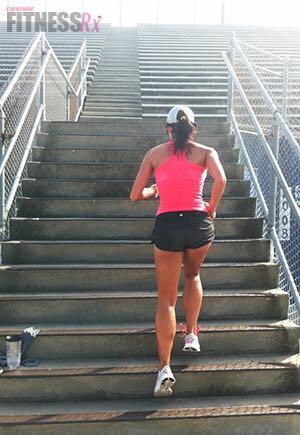 While I believe that is important to start back training at an intensity that is safe, I do not believe in coasting. Why? I find myself a lot more motivated and focused when what I am doing is challenging. So, I always try to find ways to make my workouts a bit more challenging by adding a high-intensity cardio interval between weight training sets, lifting a little heavier, pushing out a few more reps, adding a few more sets or increasing the intensity of my cardio. For a new challenge, give this HIGH INTENSITY TOTAL BODY workout a try. The worst thing to do when you are in the process of resetting your fit life is to beat yourself up. Don’t dwell on the calorie fest you had over the weekend, reminding yourself of the damage you believe (not usually reality) you have done. It causes you to stay stuck in an un-empowered mindset, which as I previously mentioned, will not help you achieve your best. The best thing you can do is to focus on the present moment. Your ability to change, evolve, re-establish your healthy habits and continue on your path to your best depends on what you choose to do NOW. Becoming your best is a lifelong journey. Along the way, you will take steps backwards, stall out and then leap forward. The key is to not give up. Always remember that you may not have arrived at your goal or be exactly where you want to be, but you are getting closer each day.